“My sister bought me a set at the candy store and taught me the moves.” explained Bobby Fischer, World Chess Champion. I could have begun this post with a quote about genius, or mental energy, or war, or breaking a man’s ego – all in the context of chess. Mr. Fischer had plenty to say about each of those. However when I read the above quote, not only did I chuckle at the simplicity of such an inauspicious beginning, but I knew buying my first chess set at age 63 was no more absurd than Bobby Fischer’s start. After playing Bridge for seven years, I wanted a different challenge, but one that would be equally mentally stimulating. Historians believe the earliest version of Chess was played in India before the 6th Century A.D. It is a game based wholly on logic; there is no randomness or luck inherent in Chess. That alone was enough to make me commit to learning – a game so popular it’s been played by multiple cultures for over 1500 years, and I don’t have to be lucky. I just need to apply my very-logical, thinking brain. 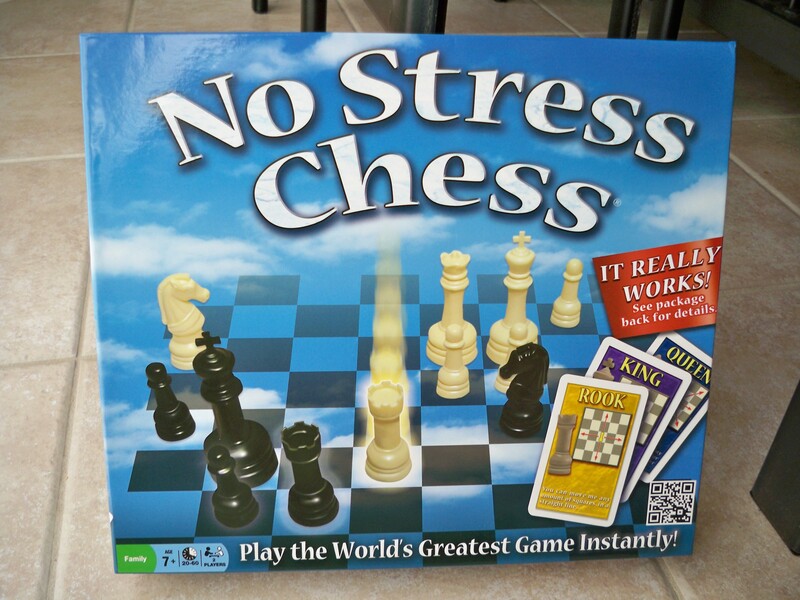 While shopping for them, I found a set of No Stress Chess. What’s not to love about no stress? The game is designed to teach moves and strategy for each chess piece individually before trying to visualize sequential moves for the board as a whole. Heck, in no time at all I expect to be “castle-ing my king” and “gettin’ busy in the metropolis“! Caught up on your A-C. Love them all. You’ve inspired me to go find a chess board and learn it too.. Never learnt it. Cribbage is my preferred game. I used to play Chess with my dad, who taught me to play. It’s a great way to learn strategic thinking. Enjoy the learning journey. I’d say you’ve hit check-mate with this post. Thank you for your clever compliment. It truly is the learning that gets me jazzed. It was the same way with Bridge – I loved the studying. Can studying be a hobby? 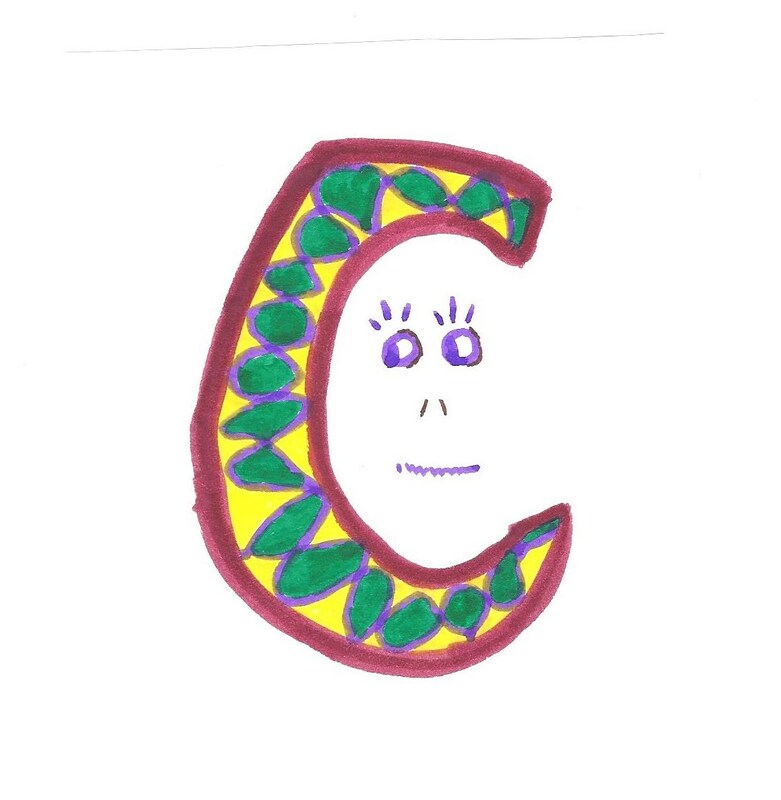 I don’t even know the names of the pieces – I got sidetracked by preparing for A to Z! my boys love chess, esp playing with their granddad. they have solitaire chess and four person chess as well – it’s a mind builder! Tara – I’m so glad to hear you say that. I haven’t found a board game my grandkids will play for very long and am hoping at least one of them might find chess interesting. I did buy the solitaire chess, thinking I would start with one of them on that – happy to have your input that it worked for you. I’ll let you know whether the Mellow Factor pans out! Have fun learning your moves! I have the cutest Simpsons chess set and I like playing, but I’ve always preferred an element of luck in my games. That way I can blame something other than myself if I lose! The Simpsons?? I’d have a hard time concentrating on the game! I know there are many creatively designed sets available – I don’t dare look for them (or let Hub know I have a new “collection passion”) until I at least learn the game! My parents met during World War II when he taught her to play chess. We all play although I could never beat my dad. I have their chess set made of ivory and it’s the one we still use. Good luck and someday maybe we’ll see your name up there with Bobby Fischer. LOL I don’t think there’s enough years left, or enough genius in me, to catch up with Bobby, but a girl’s gotta have goals!! I don’t know ANYONE who plays chess, so once I get around to studying and practicing a little, I’ll join a local club or take some lessons to meet people. Thanks for stopping by – wish you were close enough to bring your ivories over! A strategist! I’m afraid I am a luck gal myself, though my brothers tried to teach me chess, so I know the basic moves. Next year at A-to-Z you are going to have to report back! Good idea for next year – I’ll have a few chess terms by then I can apply to alphas. Luck evades me in competitive games, but it comes to me in other venues. I know how each piece moves around… but anything further? Nope. Have fun with the chess! Well you’re several moves ahead of me! Thanks for visiting! I’ve never tried Chess, but I should probably give it a try. When I want to relax and I don’t feel like reading because my eyes have been on words all day, I sometimes resort to a puzzle. Puzzles have the same problem for me as reading a good book, though. Once I start, I’m not going to quit, and before I know it, it’s morning and I haven’t slept a wink. My husband always gives me a scolding look and reminds me that I have a schedule to keep. “I know, I know, and I’m going to get my writing done. Really, I am. Maybe I’ll right about puzzles.” I know it sounds ridiculous, but I really have a hard time pulling myself away once I have started one. The same goes for a good book. I love following your posts. Nice, easy reading. Deb – thanks for stopping and for compliment about posts. I do appreciate it! What kind of puzzles?? I’m not great at crosswords but I can get sucked into Sudoku or logic puzzles and stay up way too late! Sound like anyone you know? Ha! I love that you are teaching yourself chess!!! Most things I learn best by self-study. We’ll see how this goes! I love chess, but I’m pretty bad at it. Haha. It’s such a fun game though. I’m glad to hear someone use fun and chess in the same comment!! One of my favourite memories is when my oldest son and his best friend would sit in our living room and play chess for hours. They were about 12 years old. They still (8 years later) play! 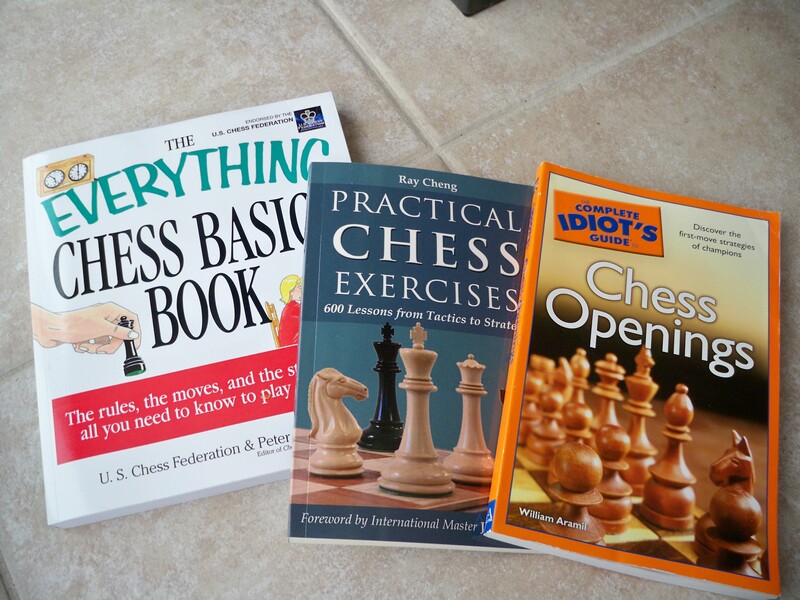 In my late teens I decided I wanted to learn chess. It made no sense to me. I got so wound up in learning it all, that there wasn’t room for the rest of the story. One summer I was babysitting daily, and the young boys next door spent many hours on their stoop playing chess. They must have been about 11 or 12. They became my teachers. Their stripped down kids approach with no asides was just the ticket. I finally figured it out. When my son started learning, he insisted that I not “let” him win. There were times I was so tempted, I was so afraid he was going to give up as he lost over and over and over. It took him about 10 years, but I only win by accident now – or is he “letting” me win?